Stretch marks, or as I call them – warrior marks, have been on my body for as long as I can remember. With that in mind, I knew I would get pregnancy stretch marks on my belly. A few weeks ago, I only had two single marks. So tonight – I thought, “What the heck! 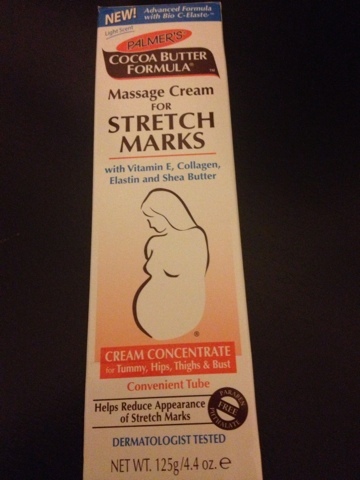 ?” and picked up some stretch mark cream. From my research, this cream will not remove or eliminate my warrior marks. However, the cream should help keep them under control. Oh and I just felt my little one move again. There is something so magical about feeling your baby dancing around inside your belly. And those little movements and moments make these stretch marks worth it.